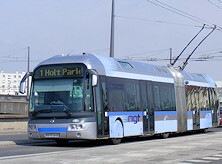 The Electric Tbus Group was formed in May 2000 by a number of concerned individuals to promote the re-introduction electric trolley vehicles in the capital of the United Kingdom as a way of bring about a quieter, cleaner, more environmentally benign way of traveling within the metropolis. 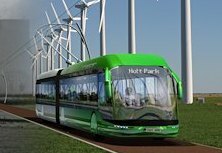 Public advantages relate to the greater efficiency at centralised power stations rather than power plants 'on-board' individual vehicles. 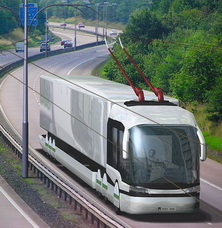 The promise of 'Green' electricity, power from environmentally sound sources, considerably adds to the advantages. 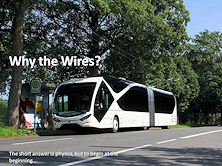 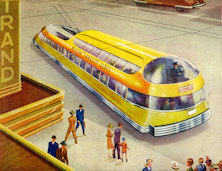 Without any available practical battery or fuel cell technology, the only realistic way to use electricity in transport is to transmit power via overhead conductors. 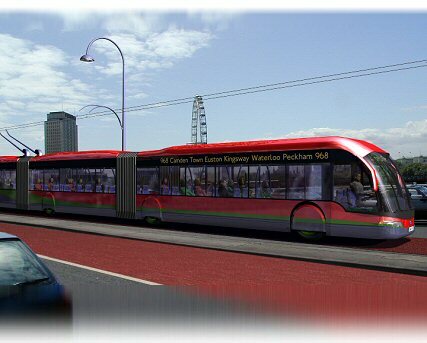 But where rail and tramway systems have considerable infrastructure costs, electric trolley vehicles have costs approaching one tenth of light rail systems and only a fifth greater than diesel buses. 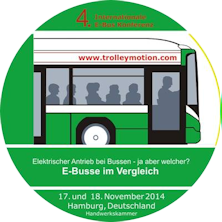 Installation is less disruptive and with 'environmental total costing', trolleybuses are the cheapest option. 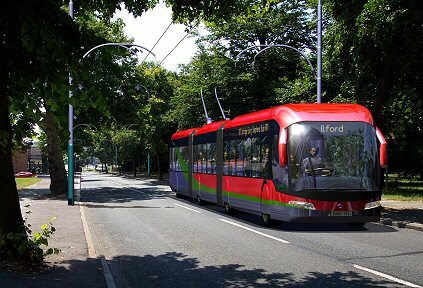 Considerable advances in trolleybus technology, such as much less obtrusive overhead, ac traction equipment and solid state sub-stations further enhance an already reliable system. 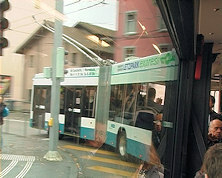 Where tested (Vancouver), passengers prefer to ride on trolleybuses and there is evidence (San Francisco, Seattle) of 10-15% increases in usage where trolleybuses have been installed. 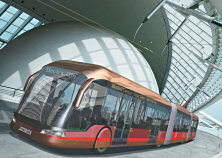 When the decision makers understand how enticing and cost-effective state-of-the-art electric trolleybuses can be and how to best implement them, they will be more inclined to push forward with road priority and traffic reduction schemes with these new forms of non-polluting urban transport. 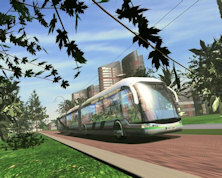 We are generating a vision for the planners and politicians to move towards.